If you have a desire to volunteer with GOSHH, we have a volunteer policy and a confidentiality policy which are available for download at the bottom of this page or by contacting the project. It is vital that you read both of these policies prior to applying to become a volunteer with us. The volunteering policy clearly outlines the entire process for an individual wishing to become a Red Ribbon Project volunteer. We do not accept everyone who applies to be a volunteer and certain duties are only available to volunteers who have completed our in-house volunteer training course. Other duties can be completed by registered volunteers who are available to volunteer their time as and when we need it. Although there is no upper age limit to becoming a volunteer, there is a lower age limit of 15. All applicants under the age of 18 will be required to supply a parental consent form before undertaking any duties within the project. You can download the application form/parental consent form (if necessary) at the bottom of this page and send it in to us along with your volunteer application or you can contact the project for further information. At GOSHH we have three main types of volunteering opportunities. 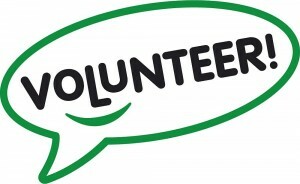 Until a person has completed the volunteer training course, volunteer duties are limited to fundraising events, publicity, library filing and assistance in the office. Small and simple duties like making up condom packs and/or putting information stickers on condoms are ongoing jobs that we regularly require assistance with. GOSHH runs an in-house training course for our volunteers. This enables our volunteers to deliver sexual health information to other people on our behalf. Trained volunteers have been involved with outreach work, agency consultation, representing GOSHH at a national and local level, induction for CD Club members, stands at community events, publicity and fundraising. If you are interested in educating or supporting people around sexual health issues this may be for you. Please download the application form at the bottom of this page and send it to Cillian Flynn, admin@gossh.ie. GOSHH is managed by a voluntary group of people. This board is ideally made up of people from our target groups and stakeholder agencies. If you have specific skills or wish to have a voice in the direction of the project, the Board of Management may be suitable for you. If you wish to apply to join GOSHH Board of Management, send a letter of application to the Manager – Ann Mason – bom@goshh.ie or by mail to GOSHH, Redwood Place, 18 Davis Street, Limerick.